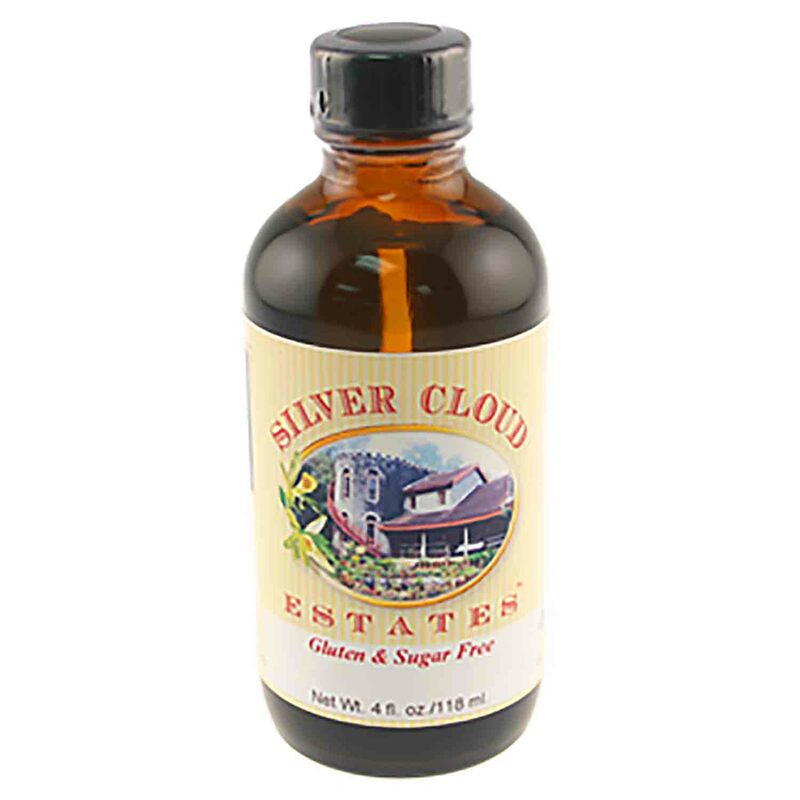 Brand: Silver Cloud Estates SCE-013 Units: 4 oz. jar Silver Cloud uses only the finest pure valencia orange oil from California in this extract. This results in an extract, which tastes sweet and juicy in your baked goods and beverages. You will love using this extract in cakes, cookies, frosting, pies, ice cream and beverages. Replace orange zest with this extract (1/2 teaspoon extract replaces 2 teaspoons zest). Try adding a 1/4 teaspoon of the Pure Orange Extract to fruit salad. If you love orange juice, the addition of 1/4 teaspoon of extract to 1.75 liters of juice, makes even the best juice taste better. Use pure orange extract to flavor marinades, compound butter, chutney, syrup and chocolate sauce. Silver Cloud's Pure Orange Extract can also be used to flavor vegetable dishes including squash, sweet potatoes, carrots, peas, broccoli, and green beans. Silver Cloud uses only the finest pure valencia orange oil from California in this extract. This results in an extract, which tastes sweet and juicy in your baked goods and beverages. Ingredients: Alcohol, Water and Oil Orange.